Location: West side of the A6 just under 1 mile to the south of Rowsley. 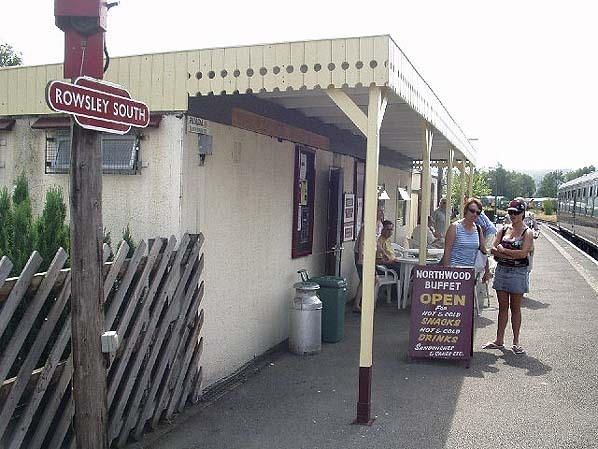 Notes: Rowsley South Station was opened by Peak Rail at Easter in 1997 as part of an extension to their heritage line. Rowsley South is located on what was the Manchester, Buxton, Matlock and Midland Junction Railway’s (MBM&MJR) line from Ambergate to Rowsley which opened to passengers on Monday the 4th June 1849. From 1862 until 1867 the line was extended in stages northwards to Buxton and then on to Manchester and it became the Midland Railway’s (MR) main line between Manchester and Ambergate. The site now occupied by Rowsley South developed over a long period as goods sidings and a locomotive depot. When the line at first opened there had been stabling sidings for locomotives along with a small depot. In March 1877 an extensive area of sidings opened for traffic and the small locomotive depot was enlarged in 1878. Over the years Rowsley’s sidings and goods facilities were extended and even as early as the late 1890s the MR realized that a new and very much larger locomotive depot was needed. The MR however was never to see the depot open. They did let the contract for its construction on the 14th December 1922 but by February 1923 the line had passed to the London Midland & Scottish Railway (LMS). The depot was fully operational by July 1926. It provided engines for goods services and for the banking of heavy goods trains up to Peak Forest. The sidings at Rowsley South closed on the 27th of April 1964 and the depot on the 17th October 1966. The line itself closed in the summer of 1968 and it was lifted in 1969. Peak Rail was set up in 1975 with the objective of restoring the line between Buxton and Matlock as a heritage railway. The organisation originally set up a base on part of the site of Buxton’s Midland Railway station with the objective of rebuilding the line from the north to the south. By 1980 Peak Rail had a steam centre operating at Buxton. However Peak Rail were constantly frustrated in their aims not least by British Rail who still had an operational railway between Buxton and Cheedale. In 1990 Peak Rail sold the larger portion of its land at Buxton and decided to move to the south end of the line and rebuild it from that direction. Starting from a base at Darley Dale Station Peak rail rebuilt the line into Matlock in the early 1990s. It was hoped that the heritage line could be connected into Matlock station which had become the terminus of the British Rail line to Derby. Once again British Rail proved to be hostile to Peak Rail and they blocked the plan. Peak Rail were determined to run trains to Matlock so they looked at an alternative temporary solution which involved building a temporary station of their own at Matlock which they called Matlock Riverside. The new station opened in the summer of 1992. Within a year Peak Rail were looking northwards. They advertised for a share issue and began the reconstruction of the line to the site of the former Rowsley Sidings and Locomotive Depot. Peak Rail created a new locomotive depot on the site of the original and the developed a rail heritage centre. 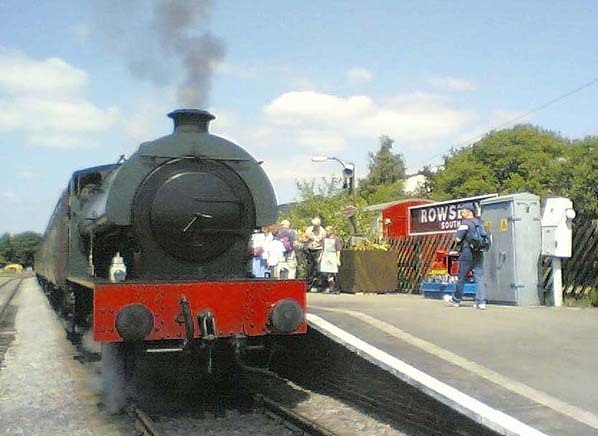 To serve the new facilities they built a new station which they called Rowsley South. 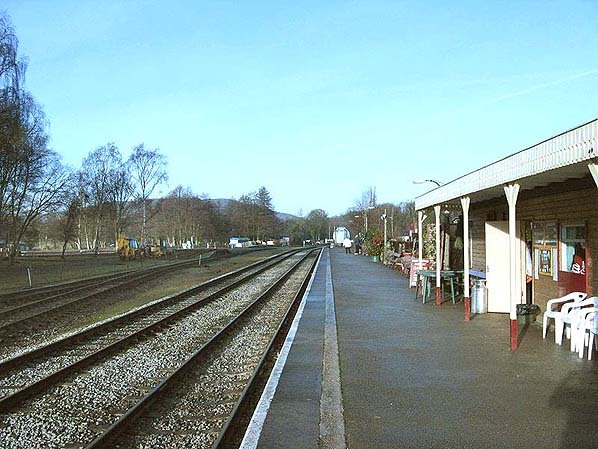 Rowsley South station consists of a single platform on the east side of the line. A single storey wooden building provides booking and waiting facilities. The station is served by Peak Rail heritage trains that run to Matlock Riverside. 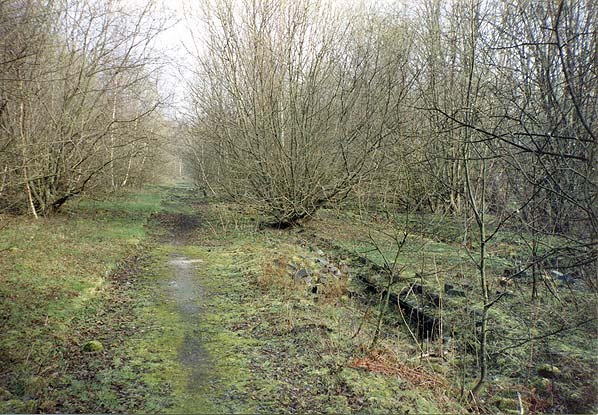 The former site of the locomotive depot and sidings at Rowsley in 1991 which was later chosen by Peak Rail as the location for their Rowsley South Station. 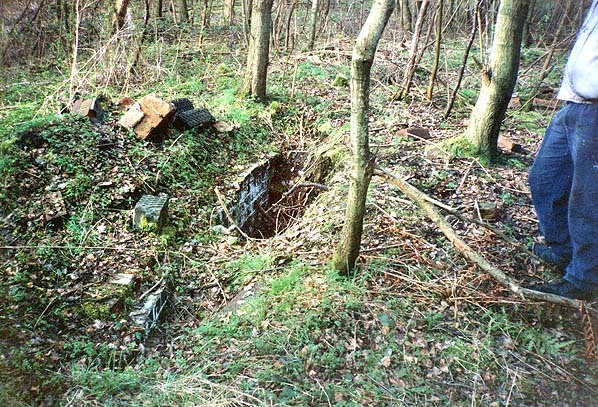 One of the keener volunteers did a trial dig on the site of rowsley turntable in 1991. The turntable pit has now been dug out and a replacement table fitted at the site of Rowsley South station. Looking north along the single platform at Rowsley South station in September 2007. The original main line was located to the right of the station on what is now a car park. The station and the present line are located on what was an area of sidings and the locomotive shed. Photo by Commando Supremo from Wikipedia, reproduced under Creative Commons Licence. Looking west from Rowsley South station to the Peak Rail turntable. 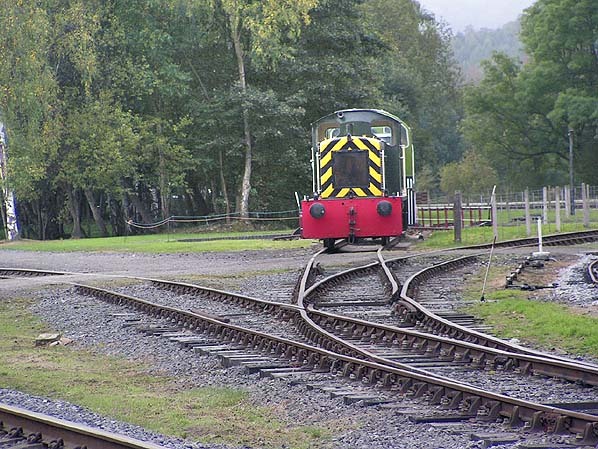 The turntable was originally part of Rowsley Motive Power Depot and has been restored by Peak Rail as part of a new depot and heritage centre.